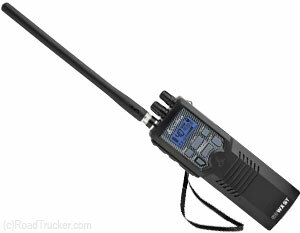 Listen to the news or updated information with Cobra Citizens Band 2-way Handheld CB Radio. It features a 10 weather channels from NOAA, SoundTracker System that cuts noise up to 90%, flexible long range antenna, and a 40 channel cb transceiver for sport, recreation or emergency use. Do I need a license to operate a CB? License is not required since the FCC discontinued that requirement many years ago.